Here’s a brief guide on social media etiquette! Have a personality – Ask questions and engage in conversation with your followers. Keep the language simple – ensure it is grammatically correct. Misspelled words and bad grammar look unprofessional. Use videos and pictures. They are proven to be more successful across social media channels. Create exclusive offers for your social media fan base including competitions, special rates or additional value. Don’t be selfish –although yes, it is your social media platform your followers don’t want to hear about me, me, and me on every post. Add content from other sources, what’s on in the area, events – even the weather! Don’t hide or delete negative comments – respond to them and address the issues – this shows that you take on board any feedback that is left. Don’t over share- be careful, once you hit ‘share’ you usually can’t get it back, don’t divulge personal information that you would not like in the public domain. Join forces with company’s / suppliers that you use that are already on social media channels, for example, post an update complimenting a supplier you use and tagging their page in. They will more than likely repay the favour! Invite your customer base via email to connect with you, include social media links on your confirmations, announcements, emails etc. Purchase a Facebook booking module so that guests can book there and then. 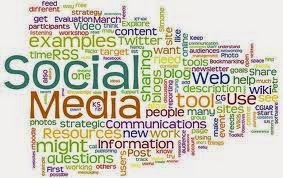 We hope you find these hints & tips useful, as I am sure you know social media is growing every month – if you need any help, contact Guestline. These free codes tend to update free steam key all the time,meaning that you will always have your chance of getting these codes add cash to your steam wallet.